On Friday I met with a local Interior Designer, who I work with quite regularly, to present the concept design idea for the new garage area at their home. You may remember that I redesigned the couryard area outside their new office a while back. The hard landscaped elements for the courtyard are finished and we will be ready to plant in the Spring. Due to the expansion of their business, they will now be moving the office away from their home and this has created an opportunity to create a new garage area. They have already carried out the clearance work but they required some help to integrate the new area within their existing garden. 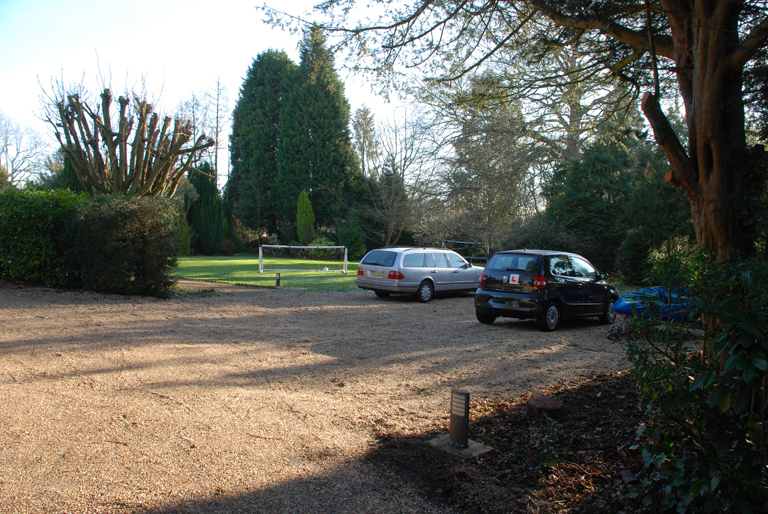 As you can see the new driveway area actually feels part of the back garden. We decided that we needed some sort of barrier to define the front and back gardens as separate spaces. 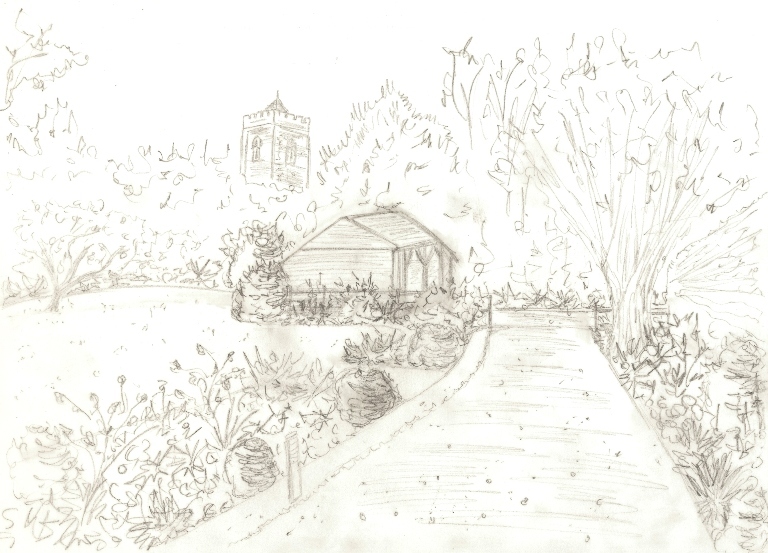 The proposed design incorporates some significant new planting which will soften the whole look as well as making a feature of the church tower beyond the boundary. 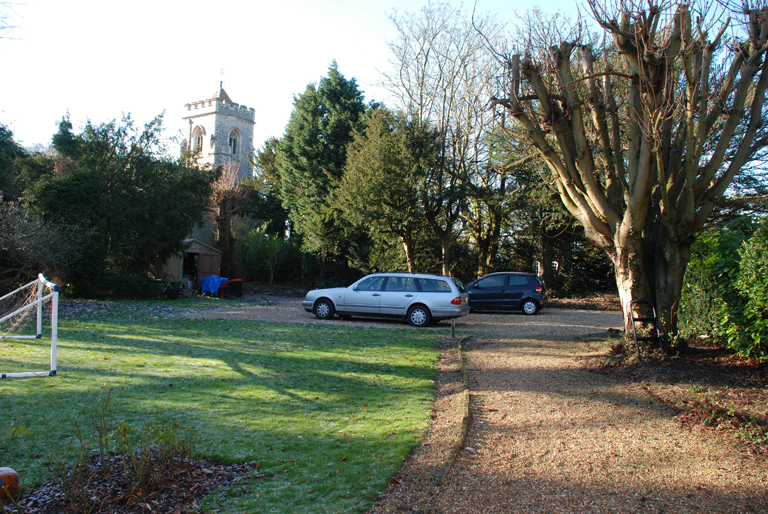 The garage will be quite attractive in its own right so the issue is not so much the need to screen that, more to ensure that it does not detract from the view of the church. 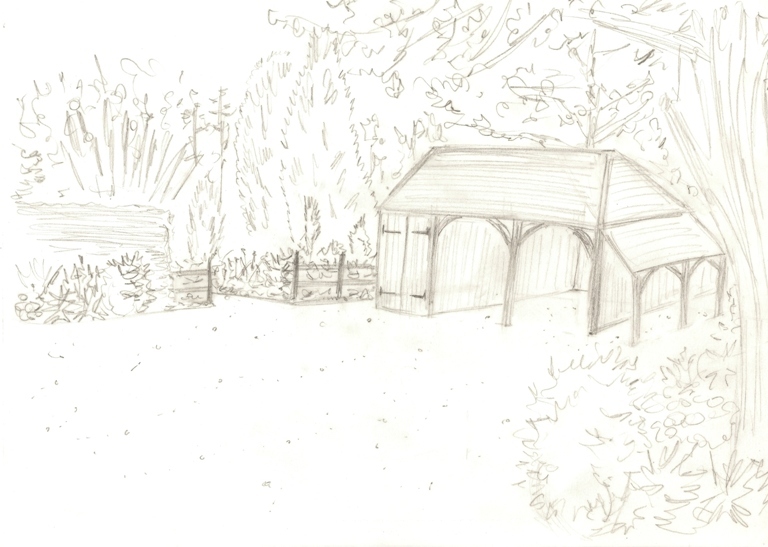 We felt that a solid barrier wouldn’t really create the right mood for the garden and I have therefore proposed a post and rail fence which will clearly define the boundary between front and back gardens whilst maintaining the softness that the planting will create. This sort of fencing also creates an opportunity to grow something up the side of the garage. You will also notice that I have proposed to increase the size of the planting beds so that they meet the pathway. This will give balance to the planting in the context of the large garden and also prevent the need to fight with the lawnmower when cutting the small strips of grass between the existing beds and the pathway. In future, when the garage area has been completed and the office has been moved off site, this area will be free of cars. What struck me instantly was the lack of planting against the house wall. The most beautiful feature of the house from this view is the porch and front door and I felt that we needed to make this a real feature. 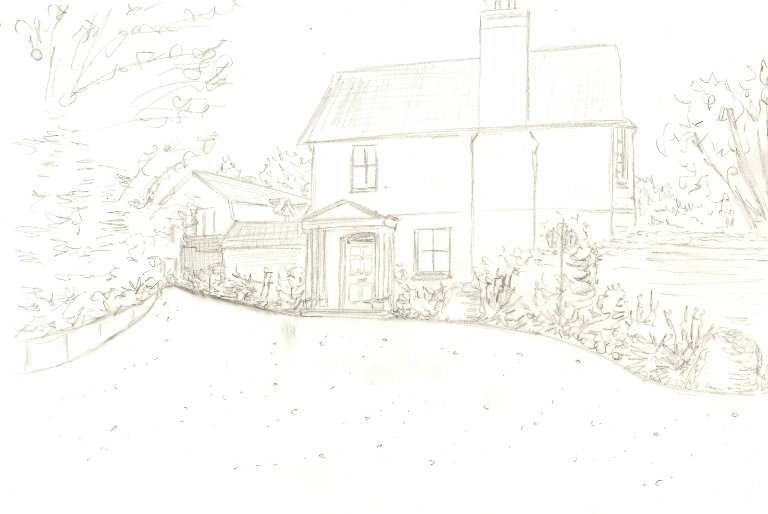 As you can see, I am proposing to make some small changes to the shape of the driveway and have incorporated some planting either side of the porch to create a “framed” effect and to soften the house wall. The pathway to the left of the door needs to remain wide enough to accommodate the delivery of oil for the heating tank so it will be important when choosing plants for the porch area, that these are strong structural plants so that the eye is brought back to the front door. 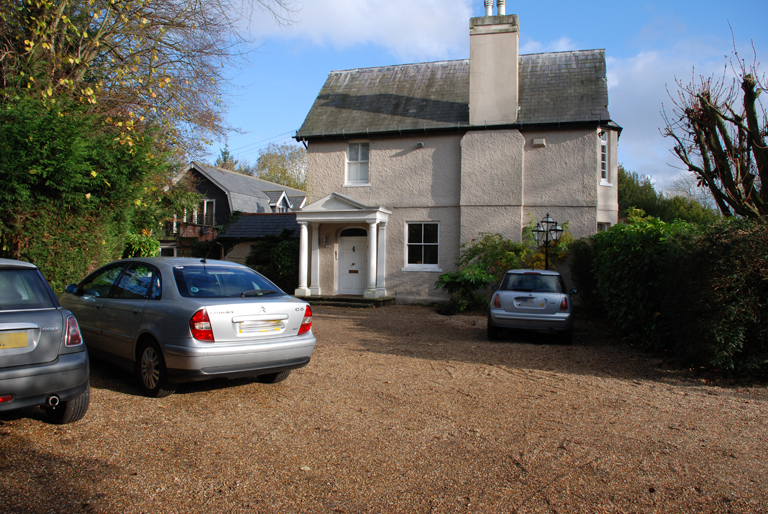 I think you’ll agree that the proposed design creates a large impact on the overall look and feel of both the front and back gardens. When you strip it down, we have made just a few modifications to the exisiting garden but the impact of the finished garden will be absolutely huge.